There seems to be an essential oil that is essential for everything; having trouble sleeping? There’s an oil that can help. Got acne? There’s an oil for that. Got a headache? There’s many oils to relieve that…To know what to use for each ailment or cosmetic purpose can get confusing. There are so many blends for different uses that selecting the oil you need can start to become an overwhelming process. When it comes to skincare we need to be much more careful than we are led to believe; the purity of what you put on your skin is as important as the purity of what you eat. Commercial beauty products are notoriously laden with harmful chemicals that easily pass into your blood stream. In fact only just over ten percent of all chemicals present in such products are even tested in case they may be harmful; some of these chemicals have been medically linked to imbalanced hormones, cancer, infertility or birth defects! Almost all breast cancer tissue samples contain parabens; an everyday chemical present in most cosmetic products. Why would we want to potentially do that to ourselves? The trust we put in the big brands of the world is, quite frankly, scary. One of the most attractive elements of essential oils is that they are derived directly from nature. They are plant-based, pure products which contain the most incredibly powerful, un-harmful, properties. We are natural beings, as they are natural, so it seems only natural that one would compliment the other. Did I mention that they’re natural? 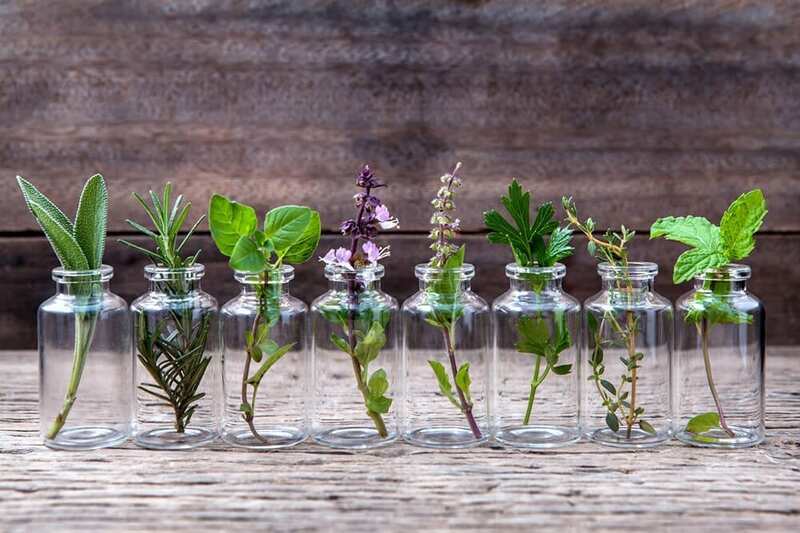 So, let’s take a detailed look into the wonders of some of the best essential oils for cosmetic use, which ones to use for particular skin types and conditions, and how they work. * Please note that you can not put pure essential oils directly on to your skin as they are far too powerful undiluted (more on how to create a skincare product using essential oils later in the blog). A great oil for improving your skin’s appearance. It has properties which regenerate skin cells helping to even your skin tone out making it smoother, reducing scarring, and improving the appearance of ageing skin. Being rich in antioxidants means that this oil can neutralise inflammation which reduces wrinkle-causing free radicals. Another wonderful oil for your skin tone. Acne sufferers could really benefit from the antibacterial and anti-inflammatory benefits of Frankincense. Also having cell regenerative properties means the skin becomes tighter and the appearance of scarring and wrinkles is reduced. Frankincense can help to even skin tone, reduce redness and pore visibility. This oil is an all-round, all-star for skin conditions; it is great for encouraging blood circulation which is excellent for healing a range of skin problems; eczema, dermatitis, burns, chafing, sores, cuts, broken capillaries, bruising, and even ringworm. It also has properties which regulate the oil production in our skin helping to reduce acne breakouts, even skin tone, improve elasticity and reduce wrinkles. Another great oil for all skin types, lavender oil regenerates skin cells to reduce scarring, sun spots, wrinkles, etc. However, this oil has much more to it than just making you look good, it also makes you feel good. Lavender is a powerful oil having antioxidant, antibacterial, anti-inflammatory, anti-anxiety, antiviral, and sedative properties. It can relax you, help you deal with stress, and so much more. This one really is a life essential. This oil has antiseptic properties which can balance the natural oils in our skin and reduce large pores. It is also another gift for the more mature skin; Neroli helps to tone looser skin, smooth fine lines and contains citral, a naturally occurring chemical, which regenerates skin cells. It is also great for stretch marks, scarring, blemishes and redness, plus helps with acne outbreaks and wrinkles. A wonderful tonic for the ageing skin type, it promotes cell growth rejuvenating the skin and smoothing out those fine lines, wrinkles and scars. This oil is an excellent cleanser as it delivers antiseptic, anti-fungal, and antibacterial properties welcome in the treatment of skin conditions such as eczema and dermatitis. A natural beauty in the natural beauty world! This therapeutic oil really works for dry and ageing skin types containing anti-inflammatory properties. This induces healing and helps to restore a healthy skin tone, balance the oils in your skin, improve skin texture and even helps with problem skin conditions such as eczema, dermatitis and psoriasis. this currently super-popular plant derivative, indigenous to Australia, has been used throughout history to treat wounds and skin ailments due to its antiviral, anti-inflammatory and antibacterial properties. It works really effectively in the treatment of acne and common blemishes. Unlike many commercial products it doesn’t dry out the skin, but actually regulates and balances the oils in your skin. Pronounced (ilang ilang), this is a fragrant, floral oil which controls the oils produced by the skin to reduce risk of any blemishes and acne breakouts. Also great for ageing skin and reducing scarring due to its skin cell regeneration abilities. Good for all skin types. A powerful anti-bacterial, astringent, and antiseptic agent. Its high concentration of D-limonene means it is very effective in skin treatments having cell-repairing and anti-inflammatory properties. Lemon oil reduces the appearance of wrinkles, promotes blood circulation, and tones the skin. Good for oily skin. As mentioned previously you must not apply essential oils to your skin undiluted, you must combine them with a ‘carrier’. For every drop of essential oil you need to add 1ml of carrier oil. This is an approximation. You must carry out a patch test on your skin prior to use in case of any reaction or irritation. There are some essential oils considered unsafe to use during pregnancy and for small children so please research this prior to use. A carrier oil is also a natural, plant-based oil used for treatment of the skin. 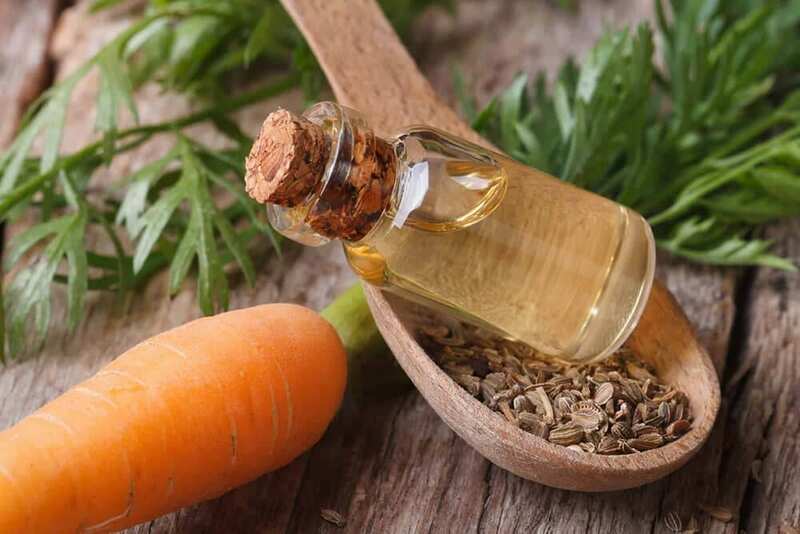 Add your desired essential oil to the carrier oil which best suits your skin type to make a bespoke skin treatment to help balance oil production, improve the texture of your skin, reduce skin problems and conditions and help reduce the signs of ageing. Experiment with the levels to find the perfect ratio for your individual skin type. You can combine several carriers with several essential oils in order to create your perfect blend. *Always select premium quality, unrefined oils that contain no additives. Cold pressed where possible. 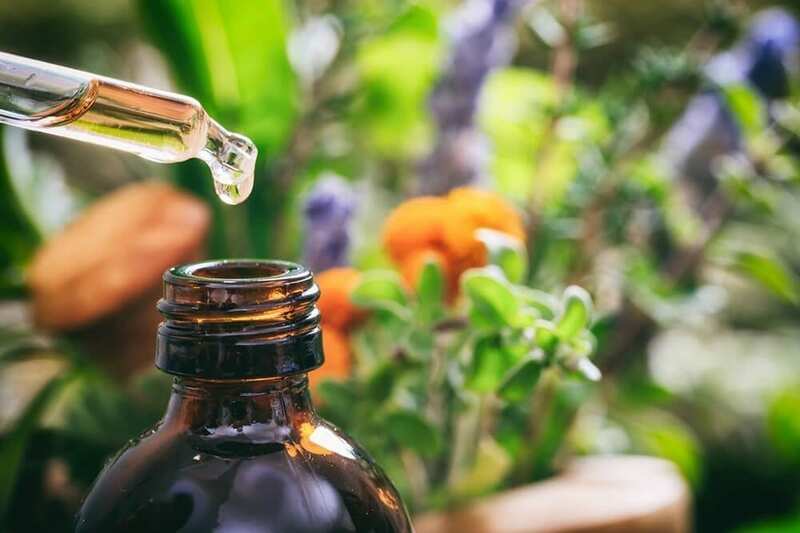 Here at the School of Natural Health Sciences we offer a distance learning diploma course in Aromatherapy which will teach you all about the most well known Essential oils, their properties, uses and contra-indications. You will also learn how to combine oils, blending techniques, therapeutic oil recipes and much more!. 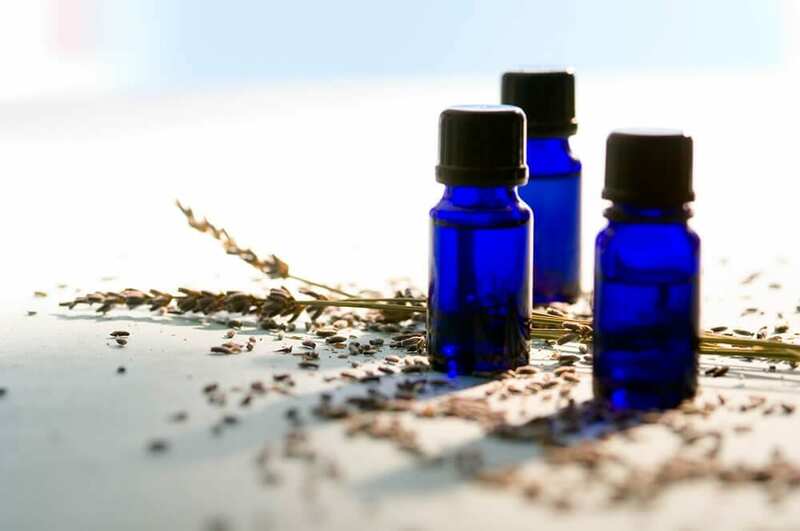 To see the full range of topics covered in the course visit our Aromatherapy Course page. Interested in making your own skincare products? Try our Holistic Skincare Products Course. By the end of the course, you will have all the information you need to design and produce hand made, with natural ingredients, personalised, beautifully packaged products, tailored to your needs or those of your clients. Contact us for more information.We’d love to hear from you!